The Mickey Bounce House is the perfect party accessory for your next Mickey Mouse themed party. 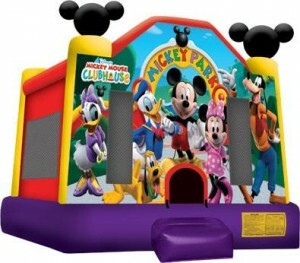 Children will have a spacious area to bounce alongside their favourite Mickey and friends characters. Rent this for your son or daughters party and we guarantee your guests will be entertained.